A student club initiative is supporting undergraduate work in a world-class cancer research lab on campus for three years. 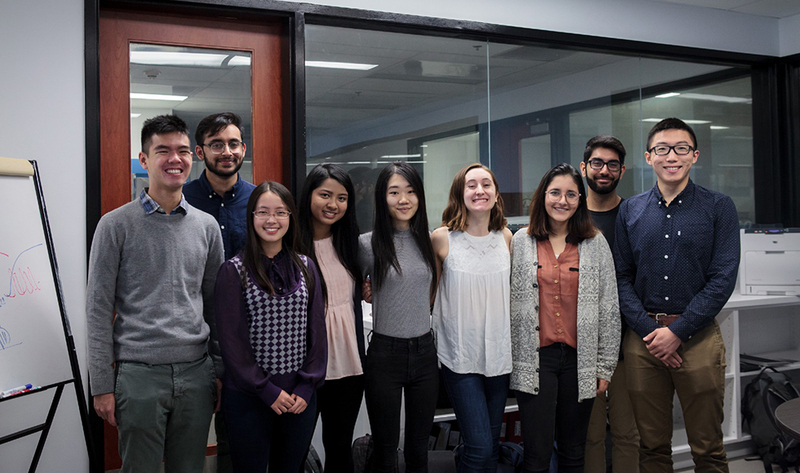 Students Advancing Brain Cancer Research (SABCR), a non-profit organization established in 2011 within the McMaster Students Union, aims to support brain tumour research in Canada — and is the first club of its kind at McMaster. Through research and clinical-case competitions, student members gain exposure to current medical advancements being proposed in the field of brain cancer research. In 2017, the club’s president partnered with the McMaster Alumni Association to set up an award to support a student opportunity with a world-class researcher in a lab on campus. The club has pledged $1,000 a year for three years for a total of $3,000. “It’s an amazing gift and one of the best initiatives I have worked on in my 20 years at McMaster,” says Karen McQuigge, Director of Alumni Advancement. Students will work with Sheila Singh’s lab within the Stem Cell and Cancer Research Institute at McMaster. Singh, an assistant professor in the Faculty of Health Sciences and the Canada Research Chair in Human Cancer Stem Cell Biology, is also a mentor for the club. Singh’s lab studies three types of brain tumours; pediatric medulloblastoma, adult glioblastoma, and brain metastases. The funds for the student award are raised through events held over the academic year, including the SABCR Research Symposium, and Encephaloma: Clinical Case Debate. Singh says she admires the work being done by the student club — young, enthusiastic people who want to devote themselves to the community. Each year, when a new cohort of students joins the club, Singh and her lab colleagues provide a tour to help educate the students on the collaborative work they’ll do. SABCR is run by 12 senior executive members and 10 junior executives, and membership is open to students from all faculties.